This is the first Love Factually book. After a break-up Little Debbies, chocolate, and the charity of friends could not console, Dr. Duana Welch had the epiphany that transformed the way she lived her love life, leading to verifiable, objective answers to her questions--and yours. The only fact-based book to take men and women from before-you-meet until you commit, Love Factually blends heart, soul--and science. In a genre long on opinion and short on proof, Love Factually puts all the evidence in your corner for the most important and daunting task of our lives: finding and keeping The One. Marriages may come and go, but parenthood is forever. But what if you could have both--a great family life, and a happy lifetime love? Enter the second book in the Love Factually series: Love Factually For Single Parents [& Those Dating Them]--the first guide that relies on science instead of opinion to help this large and growing group of men and women find the right partner not only for themselves, but their families. From getting over your ex to finding time to date, and from finding your partner to blending families, the Single Parents edition of this popular book series paves the way so you win at lifetime love. Just like the original-brand Love Factually books, you’ll rely on these for fun, easy-to-use, accurate advice brimming with real-world examples. The difference? Love Factually Singles are in single-topic titles that fit into even the busiest lives and tightest budgets. No matter who you are, these shorter e-books will address the exact issues you need to find and keep a great life partner. 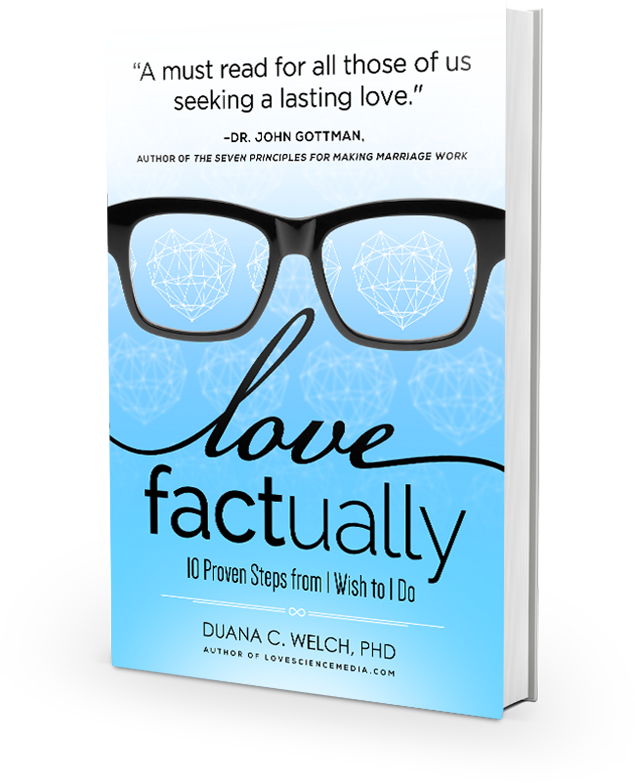 Dr. Duana Welch (pronounced DWAY-nah) is the original Love Factually author and coach, known for using social science to solve real-life relationship issues. 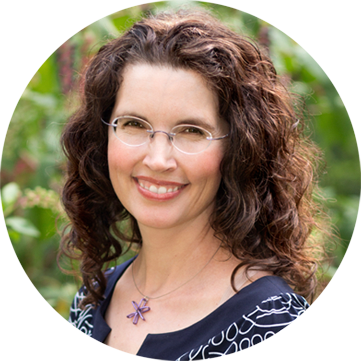 She has been a professor at universities in Florida, California, and Texas across 20 years, and has contributed to NPR, PBS, Psychology Today, and numerous other outlets, podcasts and videos. Her first book, Love Factually: 10 Proven Steps from I Wish to I Do, is now out globally in five languages. 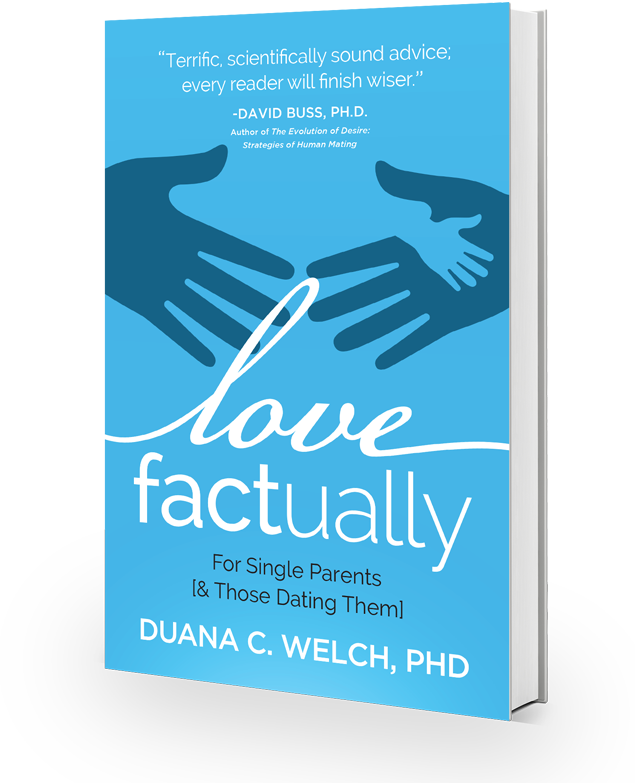 Love Factually for Single Parents [& Those Dating Them] is the second book in the series, specifically geared for finding the right partner not only for readers, but their families. 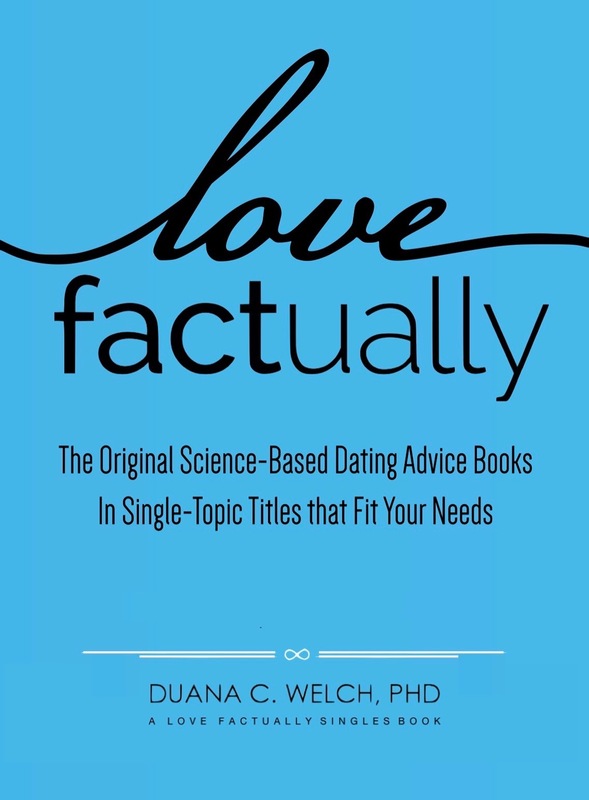 Her book series Love Factually Singles (February, 2019) provides science-based dating advice in single-topic titles that fit readers' desire to save time and money and to read content specific to their needs. Much as songs may come from full-length CDs, the content for the Singles-series may derive in whole or in part from the full-length Love Factually books. All of Duana's books rely on science rather than opinion to help men and women find and keep the right partner; and they all have a blue cover, for easy identification. Her Love Factually client practice is global, via Skype and other technologies. Thanks to science and Vic Hariton, she is happily married.